A new journal publication “Modeling the Interactions of Context and Style on Affect in Motion Perception: Stylized Gaits Across Multiple Environmental Contexts” has been published in the International Journal of Social Robotics. A new publication encourages embodied and artistic practice for roboticists. IEEE did a “Member Profile” on Amy LaViers and her work with the arts in the RAD Lab. The lab had a strong showing, and a wonderful time, at MOCO 2018 in Genoa, Italy! We presented 3 papers, 1 poster, a practice work (a performance and installation of Time to Compile), and spoke on a panel at the event. A great group from the RAD Lab came to present posters and hear Amy’s talk at this year’s Midwest Robotics Conference in Chicago. Amy, Nassime, and Jubal just got back from presenting work at a new interdisciplinary conference, Distributed, Collective Computation in Biological and Artificial Systems at Janelia Research Campus. It was an exciting few days learning from neuroscientists, animal behavior researchers, and roboticists! Madi graduates today! We are sad to see her go but excited about her new post at Kimley-Horn. Her thesis “Influence of Environmental Context on Affect Recognition of Stylized Movements” is in the books! Dr. LaViers gave a lecture at the Champaign Public Library for their lecture series Tuesdays at Ten on Tuesday. Lin Bai had a successful PhD proposal yesterday entitled “Control and Perception of Robotic Motion with Style” — congrats Lin!! The lab infrastructure here at UIUC is almost in place with this second robot purchase: an Aldebaran NAO, pictured above with Lin and Anum in the lab on Friday. Last Thursday we held the 2nd Annual RAD Lab BBQ. Everyone brought robot designs to discuss, and we held a corn hole tournament. We had Amy, Lin, visiting from UVA, Umer, Anum, Hang, Ankit, and Zhe in attendance. Too busy to take pictures except of these leftovers! The RAD Lab is moving! 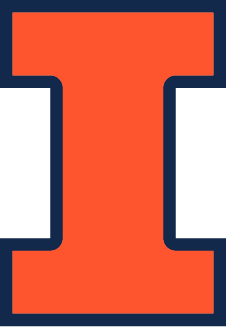 The RAD Lab is relocating to the Mechanical Science and Engineering Department at the University of Illinois–Urbana-Champaign. Stay tuned for new updates in the Fall. 7/24/14. Congrats to Yu Sheng for successfully defending his Master’s thesis entitled Implementation of a Multiple Switch Time Approach to Style-based Motion Segmentation. Pictured above is the group out to some celebratory ice cream; below a snapshot from the defense itself. Thanks to Profs. Peter Beling, Matt Gerber, and Zongli Lin for serving as committee members. 7/11/14. Hosted Dr. Keith Bourne and UVA representative, Clint Chedester, from the Commonwealth Center for Advanced Manufacturing (CCAM) in the lab today! We are re-scoping of our project to explore Rethink Robotics’ Baxter platform for use on the factory floors of CCAM member companies. 5/22/14. We have a great group of students in the lab this summer! 5/21/14. New M.S. student Jerry Heddy and I visited CCAM for their semi-annual project review. Great to see what’s going on at this industry-university consortium, currently sponsoring a project in our lab. 4/15/14. Hello from Berlin, Germany @ CPS Week 2014! Presenting at ICCPS on Thursday afternoon. 10/13/13. Students in the Technology Leaders Program (TLP) work on a year long project to automate the labor-intensive process of cell culturing. Co-advised with Profs. Robin Felder and Reid Bailey.